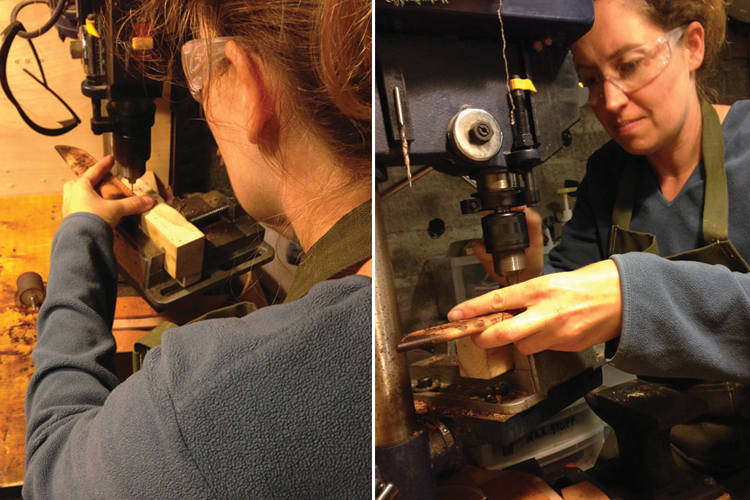 The CEO and CFO of Wildertools has decided to try her hand at sheath making. 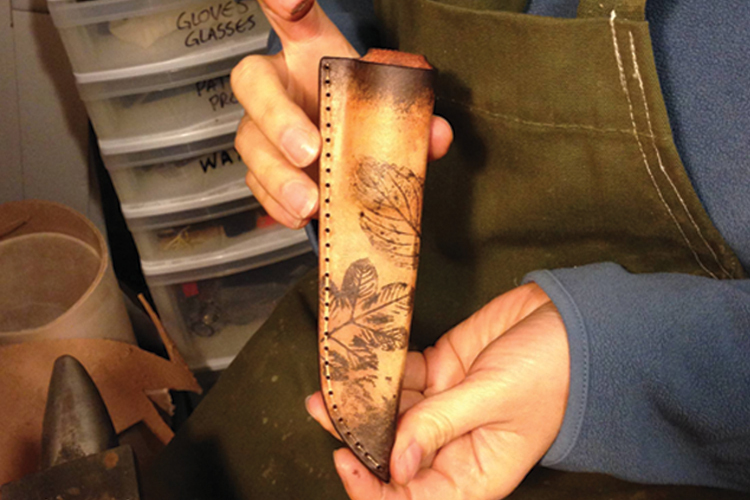 A while ago, I made my wife a small EDC knife, this past week she took me up on the offer to make her own sheath. It took the whole day but I have to say it looks pretty great. She was even able to add her own elements. Here’s a couple of snap shots. 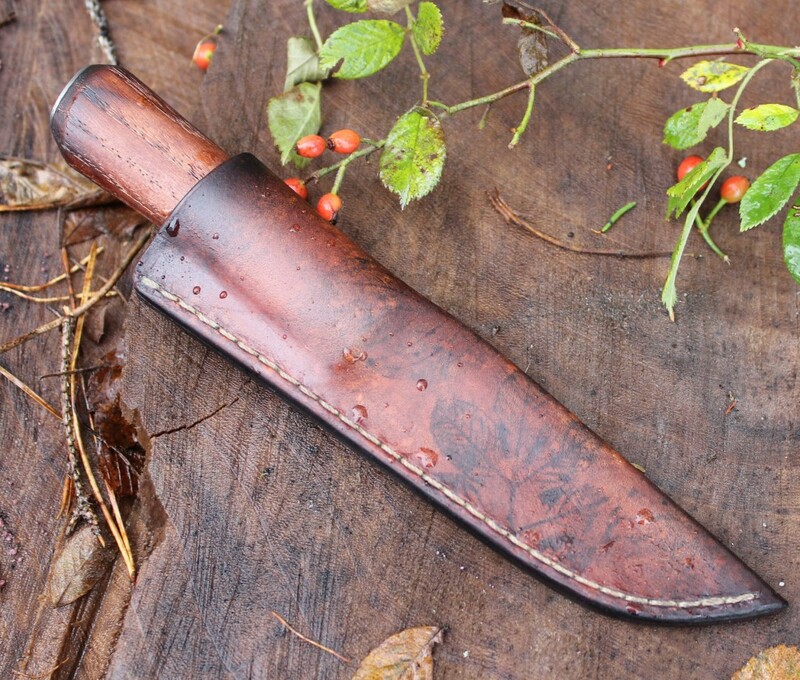 Chocolate Mint and Rose Hip leaves were painted with dye and pressed onto the leather and a gradient was added to the top and bottom of the sheath to mimic the handle on the knife. The finished product. Nice subtle effect. Had a little trouble with the stamp but shhhh…we won’t tell. Ah..such attention to detail…so proud. Perhaps she needs her own stamp. If your interested in learning more about the blade check it out in the gallery under “BUSHELLE“. 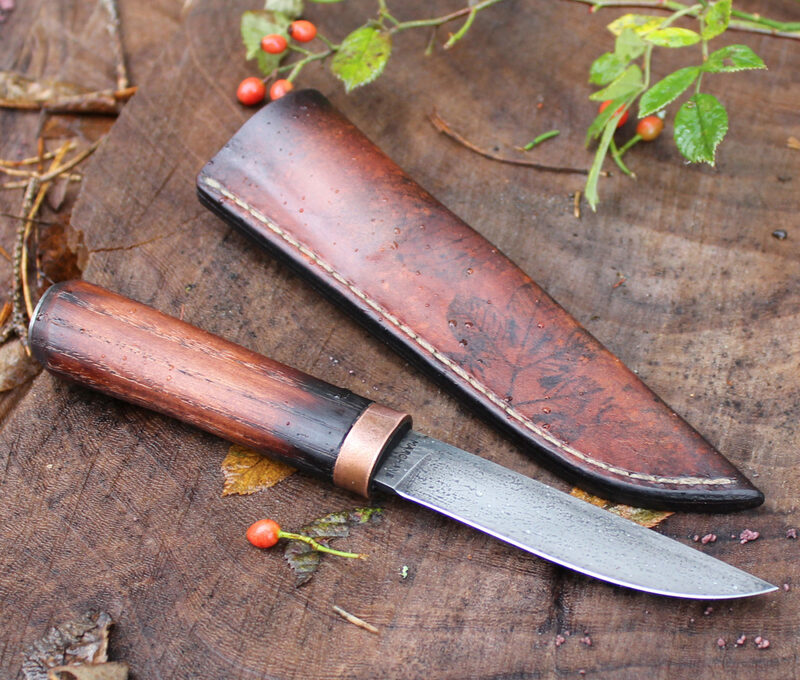 This entry was posted in Leather and tagged Bush knife, Ladies sheath, Leaf design sheath, leatherwork, Rick Marchand, sheath making, wilderness, Wildertools. 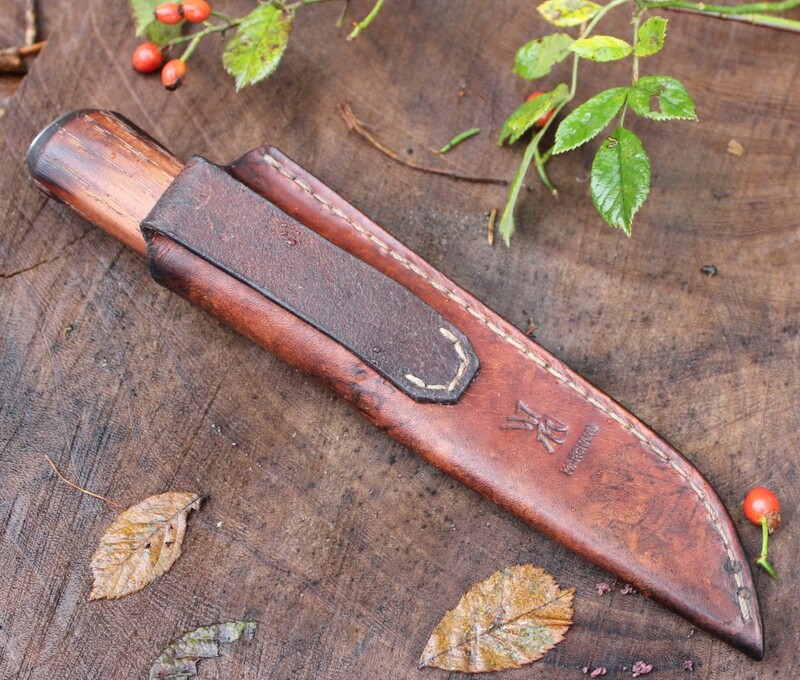 That sheath looks great!!! Looks like Rick found a new employee for his leather work.